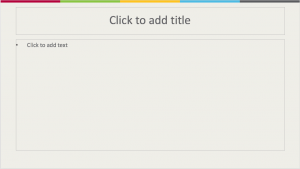 When designing a presentation, it is best to start with a title slide that introduces the topic that will be discussed. 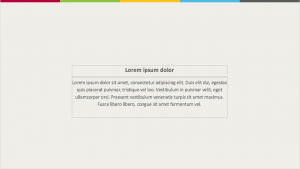 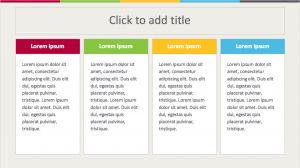 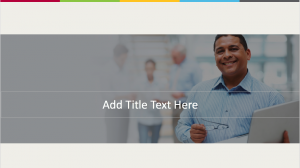 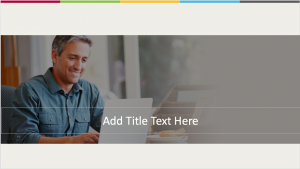 This presentation theme includes a title slide that features the Flexible option logo, as well as a text field for a short description of the presentation topic. 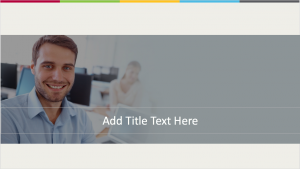 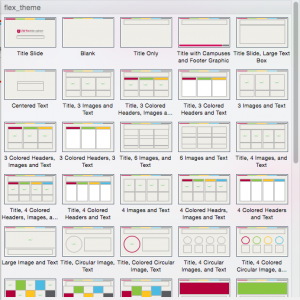 The UW Flexible Option presentation theme includes slides that have placeholder boxes for photos to allow for easy formatting. 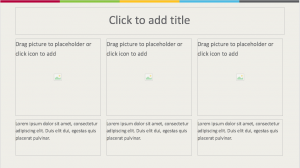 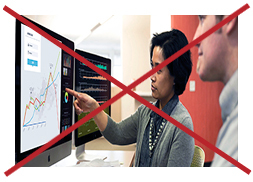 The presentation theme also includes a selection of slides that feature photos relative to the UW Flexible Option. 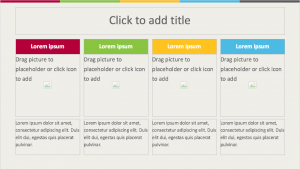 These slides may be useful as a transition between presentation topics. 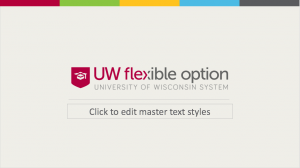 The UW Flexible Option presentation uses the default font, Calibri. 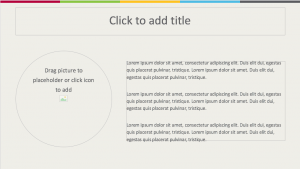 Calibri is built into PowerPoint and will work on both PC and Mac computers.